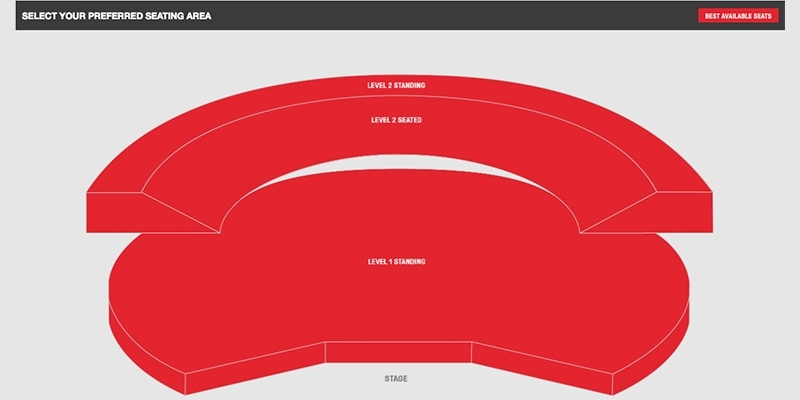 There isn’t a seating plan that applies to all performances. This is because – unlike traditional venues – our main space has a flexible layout, which usually changes for different events. 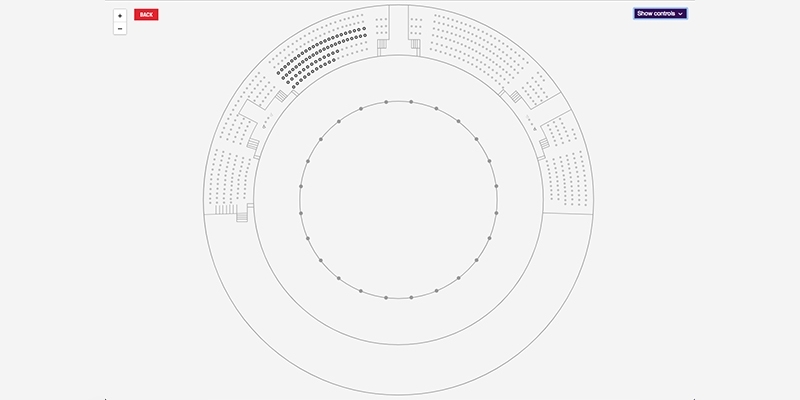 However you can see the layout for your event by clicking ‘Book Tickets’, once you’ve done this you’ll be presented with a graphic layout of the auditorium. Clicking on each available area will show you a more detailed overview of the layout of the space. If you have more specific questions about the seating plan for a particular event then please do get in touch. As much as we would like to help with this, if an event is listed as ‘Sold Out’ online then it genuinely means no tickets are available. On some very rare occasions additional tickets may be released for sold out events at a later date. However we have no way of predicting if this is likely or when such tickets might become available. When an event does sell out we will set up an email waiting list, so that if/when tickets do become available you will be among the first to know. You can also follow us on Twitter. If additional tickets become available we may tweet details. Remember that you can also sign up for email updates to make sure you don’t miss out next time. If you’re unsure whether you’ve purchased seated or standing tickets for a music gig, then please check your order confirmation email for details. You can also login to your account and check your order details online. If you’ve purchased from a ticket agency then please contact your point of purchase directly. Unfortunately, as laid out in our Conditions of Sale, as standard we cannot offer exchanges, refunds or resales. However, we appreciate that things can change, so for Roundhouse produced shows where there are multiple performances, we may be able to swap your tickets to a different date for a small exchange fee and any difference in ticket price. For externally produced shows, unless the terms and conditions for the event or your original point of sale state otherwise, you will be able to let someone else collect tickets that are held at the venue in your name from our box office on the day of the event using a Letter of Authorisation. Please note that this only applies to tickets purchased directly from our box office. If you have purchased from another ticket agency then please enquire with them directly. We’re unable to hold or reserve tickets for customers for payment at a later date. All tickets must be paid for at the time of booking with the exception of schools bookings which can usually be invoiced. Why am I in a waiting room? Occasionally when high demand performances go on sale, you may find yourself held in an online waiting room. We do this to regulate the sudden demand on the ticketing area of the website. This makes sure that each transaction runs smoothly and aims to provide a positive checkout experience for all customers. When in a waiting room, please do not refresh the page. You will be notified of your position in the queue and this will automatically update as more spaces become available. Positions in the queue are allocated on a first come first served basis. If an event sells out while there is still a queue we will put a message up in the waiting room so that you aren’t waiting around. You sure can. Our box office staff are able to take bookings in person and there is no booking fee for using this service. We occasionally offer discounted group rates for some of the events at the Roundhouse. If available, you’ll be able to find details of any group rates on the event page in the what’s on section. We offer a schools discount for some of events. If available, you’ll be able to find details of any school rates on the event page in the what’s on section. Do you offer concessions for students, retired customers and others? For some performances we do offer a discounts for students, people who are unwaged, people aged over 60 and children aged 15 and under. If available, you’ll be able to find details of any concessions on the event page in the what’s on section. We hold all concessionary tickets at the box office for collection. Please remember to bring along your proof of eligibility when you come to collect your tickets. If you’re aged between 16 and 25, you’re eligible for free GET IN membership, which offers £5 tickets to selected events. Definitely not to be missed if you’re in that age bracket! If you’ve just made a booking online and haven’t received a confirmation email then log-in to your account and check your ‘Past Orders’. If the booking details are available then your transaction has been successful. If you still want to have an order confirmation email then get in touch and our team will be happy to forward you a copy by email. In the rare instance that you can’t find the booking in your Past Orders then it means that on this occasion your transaction wasn’t successful. If you have any concerns or questions then don’t hesitate to get in touch with our team who will be happy to assist. I booked through a ticket agency and need help! If you need help with a booking made through a different box office such as SEE Tickets or Ticketmaster, you will need to contact them directly. This is because all your booking information will be held with the third party and so our team will not be able to help you with billing or ticketing enquiries. I only need one ticket, can’t you just squeeze me in to the sold out show? If an event is listed as ‘Sold Out’ online then it genuinely means that we have no more tickets for sale. Each venue area has a fixed capacity that’s been calculated by the space that is available. For this reason it won’t be possible to squeeze you in at the back, no matter if you just need one ticket or if you promise that you’re really small. If your favourite artist is sold out and you’ve missed out on tickets, then read our FAQ on how you can stay up-to-date on ticket releases. As with all rumours, sometimes they turn out to be true and other times they turn out to be disappointingly false. In all cases we can’t confirm whether an act will possibly play at our venue and there is no way to gain any insider knowledge from us. Not even if you’re their biggest, most committed fan ever! All we can say is that as soon as an artist confirms that they are playing at the Roundhouse, then we’ll let our audiences know along with details of how to buy tickets. If you’d like to stay up-to-date with the latest announcements then follow us on Twitter or sign up for our email newsletter. If you’ve bought tickets directly from our box office and asked for them to be posted, your tickets will be posted to arrive on your doormat approximately one week before the performance date. If the event is less than three days away, and you haven’t received your tickets please get in touch.. Please check your order confirmation first to confirm your chosen delivery method. Please be aware that we don’t post out bookings of six or more tickets. You’ll be able to pick them up from the box office from 5pm on the day of the event. You must bring a valid form of photographic ID to collect the tickets. Some events offer you the choice of printing your own tickets at home. These will be emailed to you shortly after you book online, but may take up to 24 hours to land in your inbox, unless otherwise specified on the event page or in the order confirmation. We reserve the right to hold any ticket at the box office for collection. Please note that this only applies to tickets purchased directly from our box office. If you have purchased from another supplier then please enquire with them directly. I've lost or changed my credit/debit card, can I still collect my tickets? …to the box office on the day of your event in order to collect your tickets. Box office typically opens at 5pm on the day of an event, but please check our opening hours for up-to-date information. Tickets can only be collected on the day of an event. Box office typically opens at 5pm on the day of an event, but please check our opening hours for up-to-date information. Can I leave my tickets in someone else’s name? Unless the terms and conditions for the event or the original point of sale (if. not us) say otherwise, you will be able to let someone else collect tickets that are held at the venue in your name. They just need to pick them up from our box office on the day of the event. The person collecting the tickets must bring with them a printed letter of authorisation, filled in and signed by you, in order to pick up your tickets on the day of the event. We can’t accept anything other than our template Letter of Authorisation as we need it to be able to confirm that we have all of the required information. You must have a printed version of the letter. Please note also that you cannot issue a Letter of Authorisation for tickets that have already been posted out – it can only be used to re-allocate tickets that are being held at the venue and collected on the day of the event. We cannot be held accountable for mistakes made with Letters of Authorisation. Very important point: The letter of authorisation cannot be used if the tickets have been sold for profit. In such cases the tickets will be rendered void as per our terms and conditions of sale. Secondly, if you’ve lost your tickets please get in touch as soon as possible with your details and your order number. We’ll be able to invalidate your existing tickets and sort out some reprints for you. You’ll be able to pick up your reprinted tickets from our box office one hour before the doors open to the event. Please remember that this only applies to tickets bought directly from our box office. If you have bought your tickets from another supplier then please enquire with them directly. What are 'print at home' tickets? If you select print at home as your delivery method, this means we will email your tickets to you as a PDF. Your print at home tickets will be sent to you in a separate email to your order confirmation. The PDF is your physical ticket for the performance and so you will need to print it and bring it with you for entry. We scan tickets on arrival and duplicates will not be accepted, so make sure you keep your tickets nice and safe. 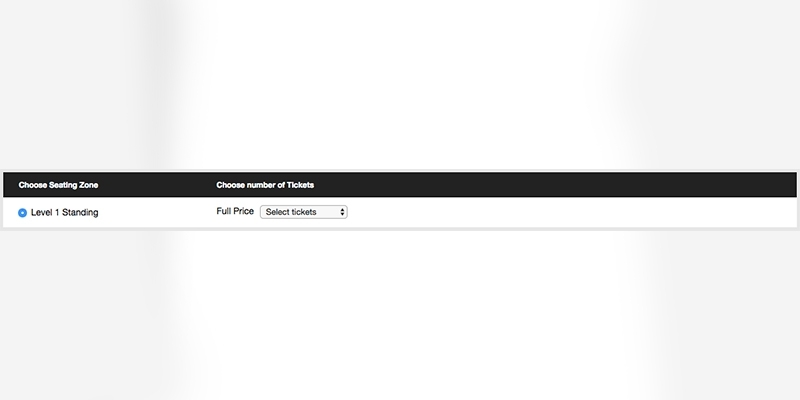 If you’ve booked for multiple performances at once, the tickets for different events will arrive separately. If the tickets for an event is less than seven days away haven’t arrived, please do get in touch. We’ll make sure any existing tickets are invalidated and arrange some replacement tickets for you. Unless the terms and conditions of the event state otherwise please bring with you the card which you bought your tickets with and you will be asked to confirm your full name and postcode. We may also ask for a valid form of photo ID (such as a driving license or passport), so please bring this along with you just in case. For some events, photo ID of the lead booker is a compulsory requirement for entry into the venue. If this is required it will be clearly listed on the event page of our website at the time of booking. Do I have to print the tickets or can I just use my mobile phone? All print-at-home tickets must be printed so they can be scanned by staff when you arrive. Unfortunately we can’t currently accept tickets shown on mobile phones or tablets as we can’t guarantee that the screen resolution on your device supports scanning. If you’ve selected the incorrect delivery address for your order, get in touch straight away and we may be able to change your postal details. If your tickets have already been printed and dispatched, then we will invalidate the originals and arrange for collection of new tickets at the venue on the event date. Will you post tickets outside of the UK? We do not post tickets to addresses outside of the UK. Instead these tickets will be available to collect from our box office on the day of the event. Please bring ID with you to collect your tickets. When’s the latest I can collect my tickets? For live music shows taking place in our main space, you can collect your tickets throughout the duration of the event. For all other events, the latest time to collect tickets varies depending on the nature of the event and latecomers policies. If you think you will arrive after the advertised start time then please get in touch for further advice. We carefully structure our fees to reflect the costs of providing a ticketing service. The per order fee covers the Roundhouse fulfilling your order, including postage, ticket stock etc. If a show isn’t produced by the Roundhouse, we also charge a per ticket fee to cover additional costs that aren’t reflected in the ticket price, such as website infrastructure and box office team members etc. What are your booking fees online, over the phone and in-person? We accept all major debit and credit cards for payments online including Visa Debit, Visa Credit, Visa Electron, MasterCard Debit, MasterCard Credit, Maestro and American Express. We also accept PayPal for all sales online and direct debit for membership purchases. For tickets sales, memberships and project enrolments completed in person at the Roundhouse we also accept cash. Please note that we are no longer able to accept cheques. Once bought, we cannot return or refund tickets so please make sure you and your guests can make the event before committing to buying tickets. If you would like to pass on the tickets to a friend or family member, then find out how you can” leave tickets in someone else’s name(Leave tickets in someone else’s name)”:https://www.roundhouse.org.uk/faqs/your-order/can-i-leave-my-tickets-in-someone-elses-name/. If you’ve got tickets awaiting payment then you may have received an email from our team, confirming the details with a direct link to where you can complete your purchase. Alternatively you can also call our team on 0300 6789 222 or visit us in person. Please note tickets will only be guaranteed up until payment due date. If your payment has been declined, double check that all your card details including billing address, CV2 and 3D secure password have been entered correctly. If you have checked this information is correct and payment is still being declined then it’s best to contact your bank to ensure you have sufficient funds in your account. Should your bank tell you that you have sufficient funds and no blocks have been put on your account, please get in touch and our team will take a look.